It doesn’t take much to instill fear when seeing a flying insect with wings and yellow markings. Wasps are no bigger than 2 cm and generally have two pairs of wings – which you will not strain your eyes to count them. The solitary wasps that looks to build a nest is common in Singapore. and hardly pose any danger. Showing Caution To An Infestation? A wasp infestation is scary especially with animals and small children who can approach nests and get hurt. Wasps should be approached with caution as they can be aggressive, and unlike bee’s they sting several times. The same basic reasons for attacking and stinging are the instinctive desire to feed themselves or their colony members and to protect and defend their colony. IT IS ADVISABLE TO SEEK THE ASSISTANCE OF A MEDICAL PROFESSIONAL ANYTIME SOMEONE IS STUNG. 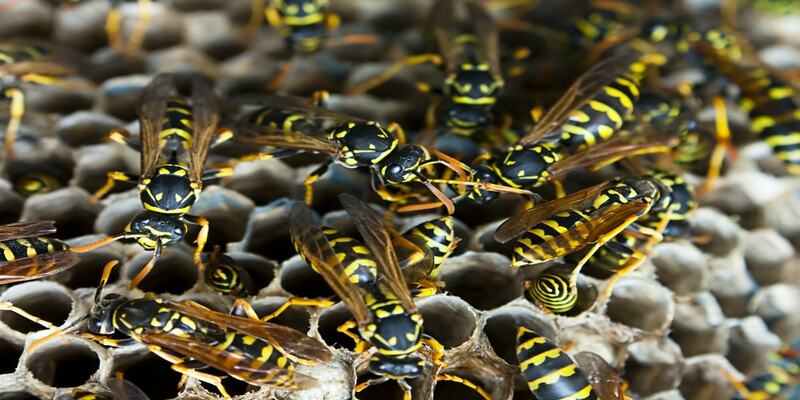 Which brings us to …..
Getting rid of a wasp infestation can be dangerous and tricky. To prevent putting yourself in harm’s way, engage a professional exterminator to eradicate the problem. Apart from the fear and nuisance it creates, if you are allergic to their stings there is a chance it could develop into an allergic reaction or worst. For wasp management and removal, it would be in everyone’s best interest to hire pest management professional to seek their advice, their professional recommendations and the most appropriate control technique to resolve the problem fast. To find out more about our wasp nest removal services, or to make an appointment with our wasp exterminators, please call us call at (+65) 6591 8890 now.